During times of hot humid climate, everyone is worried about food poisoning. Simple and common-sense preventive measures like hand washing and proper preparation of foods will help prevent food poisoning. 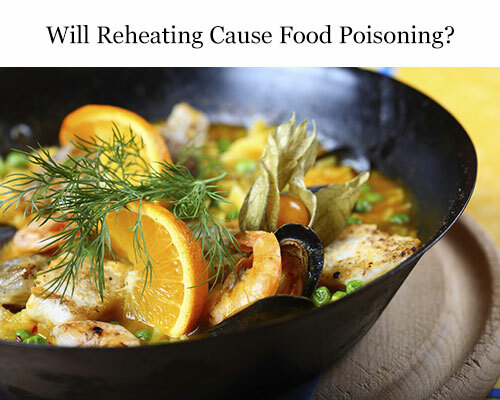 Another common measure to prevent food poisoning is by heating or cooking foods appropriately. However, is this the case every time? It turns out that bacteria can even grow at hazardous levels even after heating foods! 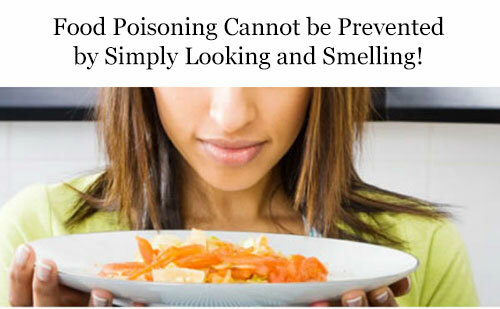 In this article, we'll reveal to you the three most shocking facts of food preparation that is often overlooked and can actually cause food poisoning. 1. You Cannot Determine Contaminated Food Just By Looking and Smelling! It's impossible to tell if foods are contaminated with bacteria just by smelling or looking at them. They may appear fine but you can still get sick. This is because most bacteria that cause food poisoning (e.g. salmonella, and E. coli) don't produce smell or any changes in appearance of the food. Remember, don't be overconfident with your five senses when it comes to your foods. You just can't trust them when you're trying to determine contaminated or spoiled foods. One bacterium can multiply to thousands of millions in just a few hours. This means that a small amount of bacteria in a contaminated food will surely spoil it quickly under right conditions so please exercise caution. Don't get overconfident when heating foods. Even a properly prepared or cooked food is not a guarantee that it won't spoil quickly. You can still get food poisoning if you let it stand too long under improper storage temperatures! The most common cause of this type of food poisoning is due to the bacteria "Clostridium perfringens". C. perfringens bacteria form spores that can withstand high cooking temperatures. When foods are kept at improper storage temperatures, the spores present will sprout and begin to grow to dangerous levels. The dangerous storage temperature zone is between 20 to 55 degrees Celsius (70 to 130°F). Food poisoning can result in as fast as 8 hours once the food contaminated with large numbers of clostridium perfringens is consumed. Although Clostridium perfringens does not cause food poisoning when they're in small amounts, it can still induce food poisoning once the contaminated food is reheated. This is because Clostridium perfringens can only grow vigorously in conditions of very little or no oxygen. More heat means less oxygen. To prevent the growth of Clostridium perfringens, the food must be cooled to below 20 degrees Celsius (70°F) within 2 hours after cooking. For example, after cooking stew or curry, when storing them, it is recommended that you transfer them to smaller containers then place them in the refrigerator, especially during summer season. Always remember that Clostridium perfringens cannot grow under freezing temperatures or refrigeration. 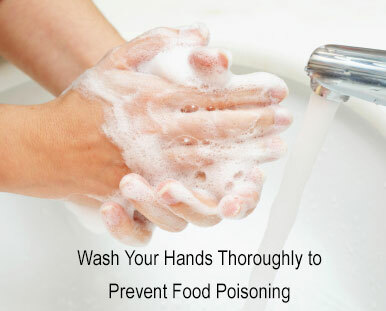 One of the basics of food poisoning prevention is "hand washing". It is one of the most important things when it comes to food preparation yet it is also one of the most commonly ignored. Bacteria can attach to any parts of your hands all the way from the crevices and skin folds up to the tip of your nails. Therefore, bacteria can still spread through every surface of your hands if you don't wash your hands well. Experts recommend 20 seconds of proper hand washing with soap and water. Remember to always wash your hands prior to cooking and after going to toilet. 1. "Spicy Foods May Provide Protection Against Food Poisoning"